Why my form is in restore mode? 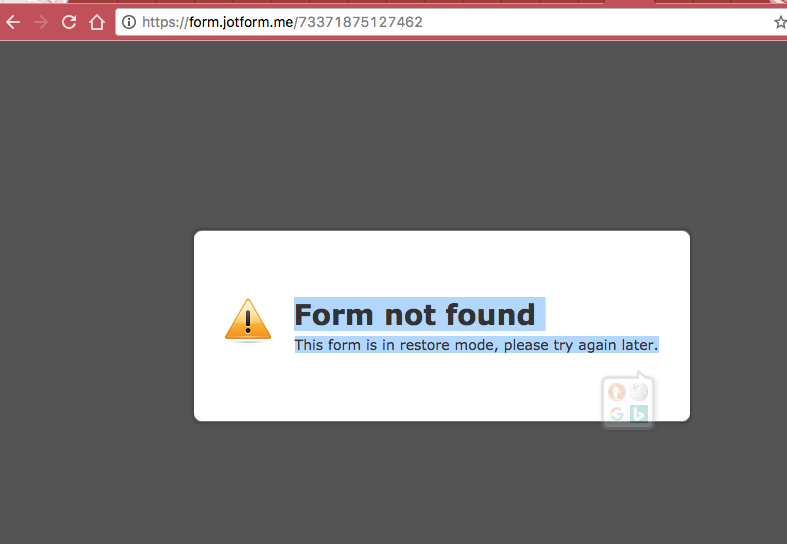 This form is in restore mode, please try again later. Your account was in Dormant status due to not using it for a long time. I have reactivated your account. Your form should be fine now. Please check and let us know if you have any further query.